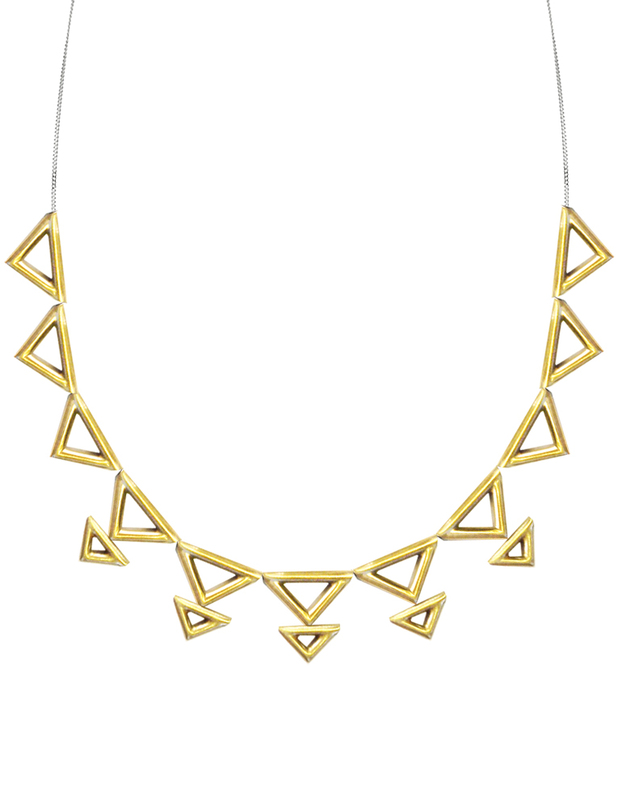 This necklace has six large triangular pendants and five larger pedants made in matte gold plated brass. 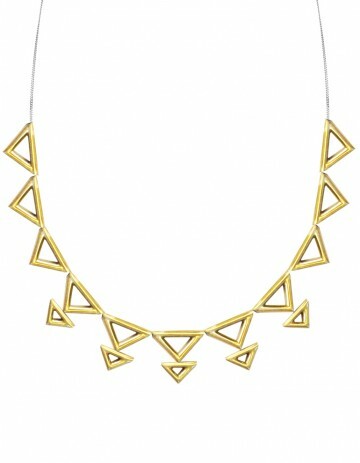 The large triangles measure 23mm x 14mm and the larger units 23mm x 23mm. The curb chain is made from silver and is 43cm long.